The unexpected naming of Chicago's DeWayne Woods as Male Vocalist Of The Year at the 2008 Stellar Awards has thrown the spotlight on a soulful voiced singer who at least one report referred to as a "newcomer". In fact, DeWayne has years of gospel singing experience under his belt with stints with the best selling acts John P Kee & The New Life Community Choir and Donald Lawrence & The Tri-City Singers. DeWayne spoke to NewYorkGospel.com about his earliest experiences in gospel. "Since I was a kid I would always be called out to do lead at my church so yeah, I've been singing forever. When I first got to my very first church, Mt Vernon Baptist Church, I remember when I was a little kid the director that was there, Doris Johnson, would pull me out from the choir and make me stand beside her and make me follow her leadership and direction. So it's been training." It was in his teenage years that DeWayne got his gospel music break when he joined John P Kee & The New Life Community Choir. He told Gospel Music Channel, "That was really my launch into the music industry. John P Kee & New Life were already a big name; John heard me sing in a production of A Good Man Is Hard To Find and he asked me to come to North Carolina to join the group. I was there for two years when Donald Lawrence brought me into the Tri-City Singers. Donald has really trained me and allowed me to continue to sing as a choir member, and then also helped me develop a solo career." Donald Lawrence & The Tri-City Singers' best selling albums like 1993's 'A Songwriter's Point Of View', 1995's 'Bible Stories', 2000's 'TriCity4.com' and 2002's 'Go Get Your Life Back' gave DeWayne a great schooling in gospel. He commented, "Donald Lawrence has impacted my life in such major ways. Just sitting up under him and watching him in the studio, watching the producer Donald Lawrence, watching the artist Donald Lawrence, watching the friend Donald Lawrence, there are so many pieces to him but they all just make up such a great person. So just sitting up under him I've learned so much about character, learned so much about even training my singers, training my choir, what to do in the studio, you know just sitting up under him trained me to be able to work on Byron Cage. I produced the background vocals for Byron Cage's record." In the late '90s DeWayne flirted with mainstream R&B, briefly becoming a member of Atlantic Starr, a group who'd hit big in the early '80s. 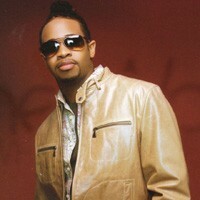 But DeWayne was soon back with first love - gospel music. On 26th December 1998 in Kansas City he took a significant step when he formed a group of 20 singers, along with five musicians under the rather unwieldy name of When Singers Meet. Particularly focussed on praise and worship the ensemble toured extensively. 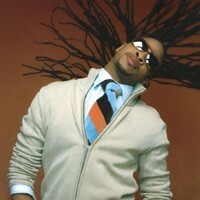 Said DeWayne at the time of the release in 2002 of the independent album 'The Poets, The Psalms, And The Psalmists', credited to Psalmist DeWayne Woods & When Singers Meet, "We understand that praise and worship is not something you do at the beginning of a service, but something that you live everyday. 'In everything give thanks for this is the will of God in Christ Jesus concerning you.' (1 Thess 5:18). You can set the tone for not only your services but your everyday life and situations by just understanding what wonderful benefits there are when you enter into the life changing presence of God." DeWayne acknowledged his years as an anonymous member of a choir as a great preparation to step into the spotlight. "I've been in the background a lot and one of the things I've learned is that in order for you to be up front, you have to be willing to serve in the back. It's been a great training ground for me because I'm able to sit. I don't have to be in control. I'm able to watch the people and kind of see what works, what mechanics work for certain people and what I can apply to my life, what teachings that I've gotten from this person that I will be able to apply to my life and it's been the best training ground of my life. John P Kee was a great teacher within his own right and then going to Donald who is of course one of the biggest geniuses out there and he loves to empower people. He's a task master but he's great at empowering us to become what we need to be." It was the release of 'Introducing DeWayne Woods & When Singers Meet' in 2006 on Donald Lawrence's Quiet Water Entertainment label which proved to be DeWayne's breakthrough project. Donald spoke about some of the songwriters involved with 'Introducing. . .', "P.J. Morton wrote my single 'Let Go' (a powerful gospel ballad which became a huge US gospel radio hit and was also named in the 2008 Stellar Awards as Song Of The Year). Levi King Jr from East St Louis, Illinois, wrote the song 'Strong Tower', which is one of the songs people are kind of going crazy over right now. Great writers, Charmelle Cofield, my sister from Kansas City, wrote a couple of songs. And of course Myron Butler is one of the producers of the album. I did a duet with a young lady by the name of Candy West who was from Myron Butler And Levi and she wrote a song called 'Sunshine' and we did it together. The minister of music of New Faith Baptist Church International, Kevon Carter, wrote two songs on the project. One of my favourites is a song called 'God Still Heals' which is based on my testimony. The other song is a great personal message from me to God's people, 'You Shall Reap'. It's talking about serving in the background and just kind of waiting for God to push you forward." The track preceding "God Still Heals" is a spoken word testimony which, after a short intro from Donald Lawrence, leaves DeWayne to tell of his own encounter with the Lord's healing power. On the track Dewayne testified, "Years ago I had gone into a doctor's office for a physical, just to kinda have things checked up - I was on the road - and when I went back in the very next week to get my results from the physical they called me in and told me I had tested positive for HIV. Now this was in 1992. I went through all the treatments that there were - now back in that day they were still trying to test out things. So I went through all of the years 'til I decided I couldn't do it with the treatments, I couldn't go to the doctor, I couldn't do it because if I was going to sing about God being a healer I wanted him to do it. If I was going to be a worshipper I wanted God to keep his promise. So I sought his way. Then in 2001 I went back for a check up to see what was going on and they asked me all the questions they needed to ask me and then they said, 'Well, you can go home, you've tested negative, thank you for coming.' And people ask me all the time, they say, 'There's a certain thing called remission where the symptoms just go dormant for a while.' So they took me before a national board and I had to go through a series of tests and it showed up that it wasn't in my system at all." On the Gospel Music Channel DeWayne was asked why, of all the many HIV sufferers, God chose to heal him. "I can't say why," he responded. "I think that he trusted me to be a mouthpiece, not only about the fact that I was completely healed, but also before I was healed, just about having it [HIV]. He allowed me to give hope to a lot of people out there, and trusted me to spread the news that he is still a healer, all-powerful and all-knowing. We can never really know why these things happen." My name is Anita from USA, i was diagnosed with HIV in 2012, and since then my life was turn upside down I even infected my husband with the virus, until i meant a testimony from a woman about a spell caster who cured his HIV and she dropped his email which i used to I contact him and told him about my problem, he told me that i will need to do some things which i did, and after he finished every thing, he told me that me and my husband will take the medication for 2 weeks which we did and 3 days ago we went for a test and surprisingly me and my husband are now HIV negative,thanks to Dr Enato for saving our life. And i will advice any of you who needed help about this deadly virus should contact Dr Enato I believe he can help you too, thank you. I remember correctly clear as day telling my friends there was a cure for HIV, they didn't catch with what I was saying, Oh thanks GOD for you Dewayne Woods. Amen I saw you on TV telling your story and it was amazing to hear you speak to the world on how GOD healing process cleared up all that stuff in your body which I CALL it the devil mess, Amen i told my friends God will cure any sickness from the past to the future, Amen. I wish one day I get a chance to meet you, and give you a Big hug . You have inspired me to keep letting the world know God is for real for his angels here on earth, enjoy your music keep letting God use you, I know I will. Be blessed. God is a healer, a deliverer a provider he can do anything but fail. Repent, Trust & Believe Him in Jesus Name then wait/watch him work. ...and how do you know how he got it and why is that important to you? Yes, your statement is bashing and judgmental. Do you ask people what they did to get cancer?...or diabetes? From your statement it seems to me that you need to follow your own advice and ask for repentance for your ignorance. I found out a month ago I was tested hiv positive. I have faith my heavenly will heal me and I will be a testimony to others please pray for me i want to do as God want. My name is judith and for the others dont lose faith God is with us. About a month ago I have just been informed that I am HIV +. Im a minster, Im married, and I have two children. My wife is negative and I dont know how long Ive been infected. The only symptoms I was having is swollen nodes in my neck and on and off night sweat which I have had to 10 years. Im thankful that my children and wife are negative but now I have to adjust my lifestyle in fear of infecting my family. I know that God is a healer and I blieve that he is going to heal me. I saw the infectous diease specialist yesterday and got all the test CD4 & viral load, xrays, etc done. Im trusting Gods perfect will is done in my life and prays he heals me from this. Hi Ricardo, Wanda and all the rest. I was diagnosed with Diabetes about 10 years ago but with the lifestyle I lived years before I am suprised I did not get HIV. But Diabetes is a disease that is very hard to live with. DeWayne you have inspired me and I want to encourage all of you to keep trusting God. I also wanted to say before I even got diagnosed with Diabets I told the devil the buck stops with me I already rebuked the generational curse so I am still trusting and believing that God can and will heal me. Hello, brother and sisters in Chirst. I dot have to tell you, i know that you all know that Jesus Heals!! I know that you all also know that he loves us all and does not want us to suffer. He died so that we might live healthy ad strong. After the life I have lived, it is by his grace and mercy that i do not have hiv. I writing to inform you of the process you are going through. I truly believe God is making us fit for the tasK that he has for us. Will you trust him? Will you turn to him rather than get anxious and run to man? Im not saying to stop taking your meds....but i am saying truly give it to him. Read his word and plant it in your hearts so that it might grow and the harvest be plentyful. Meditate on what he has said. Talk to the holy spirit, Jesus and God. HIs word does not come back void. As previously stated I myself do not have what you have but i have somthing different. I thank him for the process and that he makes me strong and nothing of my own doing.